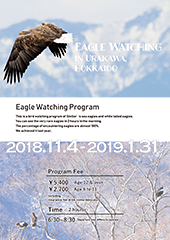 This is a bird watching program of Steller’ s sea eagles and White tailed eagles. You can see the very rare eagles in 2 hours in the morning. 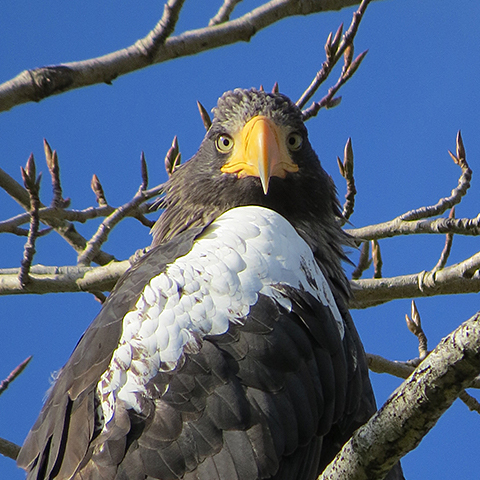 The percentage of encountering eagles are nearly 100%. We achieved it last year. This species is threatened with extinction caused by regionally declining population as a result of habitat degradation, pollution, poisoning by lead shot, and over-fishing. It therefore qualifies as Vulnerable. The global population is estimated to number 4,600-5,100 individuals, including 1,830-1,900 breeding pairs. 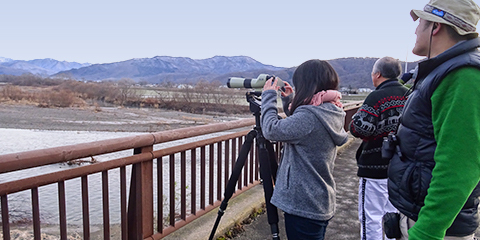 Hokkaido, Japan is a very important area as wintering spot. The population in Hokkaido is 1,500-2,000. This species has an extremely large range and its strongholds in Norway and Russia. In Europe, the breeding population is estimated to number 9,000-12,300 breeding pairs, equating to 17,900-24,500 mature individuals. Europe forms 50-74% of the global range, so a very preliminary estimate of the global population size is 24,200-49,000 mature individuals. 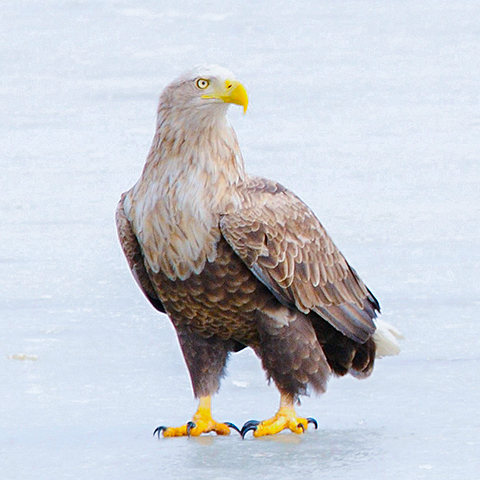 The eagle normally come to Hokkaido for wintering spot same as Steller’s sea eagle. But it is increasing the population of breeding in Hokkaido in recent years. 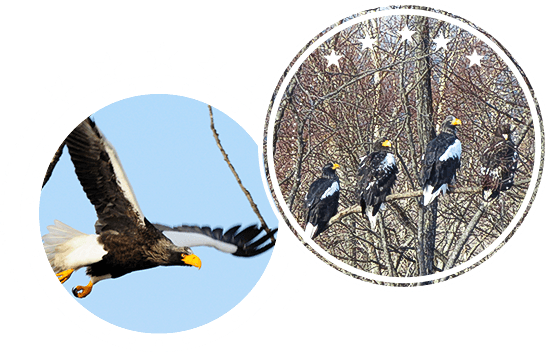 Both eagles are an endangered species and they have been designated as Japanese special natural treasures. We provide this tour daily and departure time differs by sunrise. The tour starts between 6:30-7:00 AM. you will have a lecture about the eagles and equipment. 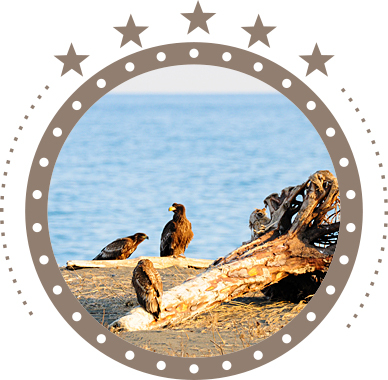 When we move to the site, you can enjoy watching using a spotting scope and photographing eagles. This program is attended by an English speaking guide. Please e-mail us for a booking or question. We will send you a confirmation mail. We are going to make a contact and inform you of pick-up time and place on the day before the operation day. Mt.Apoi Geopark is located in Samani town where is a neighboring town of Urakawa. Feel the earth’s dynamic activity and enjoy natural surroundings.